Let’s be honest. All you actually need are an orange Turtle School gi and some spiky hair to complete your Dragon Ball cosplay. You do not need a mini-segway, hoverboard, whatever. 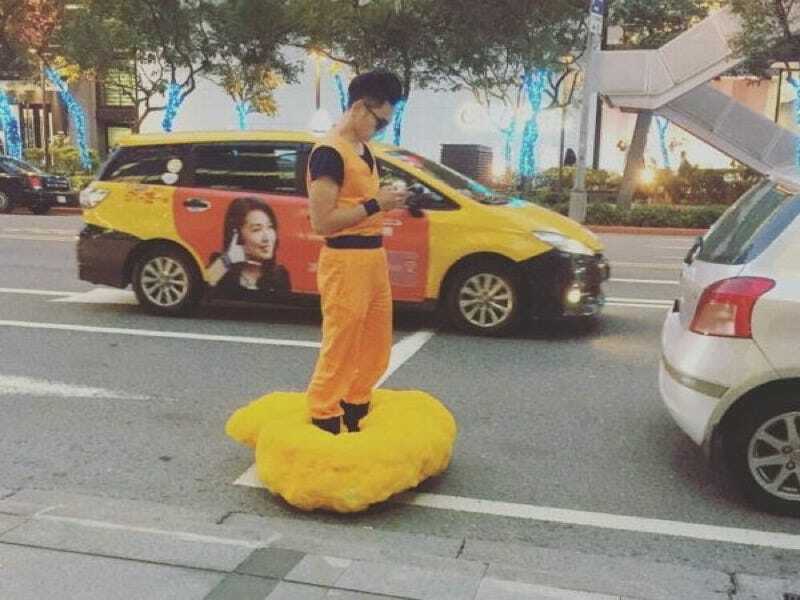 According to ETToday, a man in a Dragon Ball costume was spotted riding a Flying Nimbus through the Taipei streets. In the above photo, he appears to be stopped at a light, checking his phone. This isn’t a real Flying Nimbus, of course, but probably some sort of self-balancing scooter. Not sure if this is some kind of publicity stunt or if he’s simply a huge Dragon Ball fan, but people online thought this was rather dangerous or dumb, especially considering how easily people fall off of them, and wondered if this guy wasn’t cold. Saiyan, cold? Ha! Mini-segway, dumb? You betcha!